Camp for €20,- a night at Terrassencamping Schlossberg Itter in low season with CampingCard ACSI. 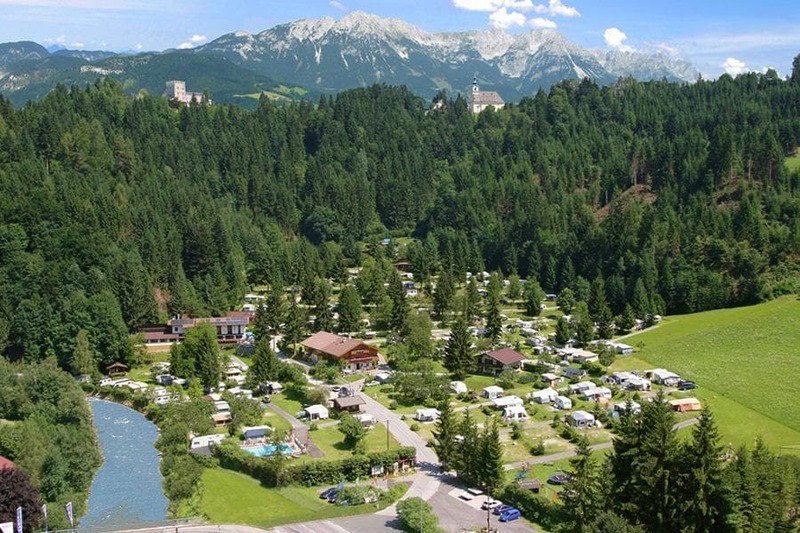 Terrassencamping Schlossberg Itter, located in Itter (Tyrol), is a campsite with 150 touring pitches and 50 year round pitches. With your CampingCard ACSI you can camp on one of the pitches during the following periods: 01-05-2019 - 29-06-2019 and 01-09-2019 - 30-10-2019. At this campsite you can not only use your CampingCard ACSI for inexpensive camping, you can also use your ACSI Club ID (as an alternative ID). A large, well planned terraced campsite surrounded by woods in the Brixental valley. The lovely large playground typifies its child-friendliness. Heated outdoor pool. Plenty of sports opportunities in the immediate surroundings. Well placed for trips out. Restaurant on the site. The toilet/showers are good, pity they are on the top floor of the building. Site steep in places, not great for walking the dog. The pool was very nice and clean, well kept and the childrens play area looked very good. Elecric charges are implimented here so take a meter reading. we arrived after 1pm but a nice chap told us to find a pitch and go to the office at 4pm, that worked fine but we didnt read the meter. Nice to visit Kitzbuhel from here. Lovely place and very well kept, shops close by. Would you like to book Terrassencamping Schlossberg Itter or request more information? You can do both using the information below or by visiting the campsite's website. Inntal motorway, exit 17 Wörgl-Ost, direction Brixental. After 5 km turn right onto the B170 direction Brixental. Turn left 2 km before Hopfgarten. CampingCard ACSI will send your information request to "Terrassencamping Schlossberg Itter".